posts about symphony x. | spielwiese. set the world on fire by symphony x.
december 7, 2010 at 18:00 by felix. no comments. the seventeenth video is set the world on fire by symphony x. you can find the lyrics here. this is progressive power metal. you can try it if you want. i like it because… is a very powerful song, making me want to jump up, throw my hair around, with a lord of the rings like story based video which just fits perfect to the music. february 17, 2008 at 12:35 by felix. three comments. unfortunately, this time, the concert hall wasn’t really filled, there were maybe 500 people, and the hall would have fittet 1000. i really feel sorry for symphony x, because they deserve much more! dream theater and symphony x.
november 1, 2007 at 00:28 by felix. one comment. well. besides all these strange things, and also besides the insane pricing of the tickets, the concert was great. even though symphony x had just around 40 minutes to play. at least, the break for cleaning up the stange was pretty short (around 20 minutes), so one had no chance to fall asleep in between… (i remember some breaks which came near to one hour…) the stage was decorated with giant ant puppets, although i couldn’t see them, too many heads in my way… another gimmick was a traffic light hanging above the stage, which showed red, then turned to yellow when the intro music started, and changed to green when the band began to play. well. dream theater played for almost two hours and, as usual, produced a really good show. they played a lot from their current album, systematic chaos, some other songs and, as an encore, a long medley, going through different epoches of dream theater. concerts i want to attend this year. august 13, 2007 at 06:54 by felix. five comments. here’s a list of concerts i plan to attend during the last four months of this year. if i put a link to a bands’ homepage, this means i’m going to that concert to see this band (and as a side effect, also the non-linked ones). 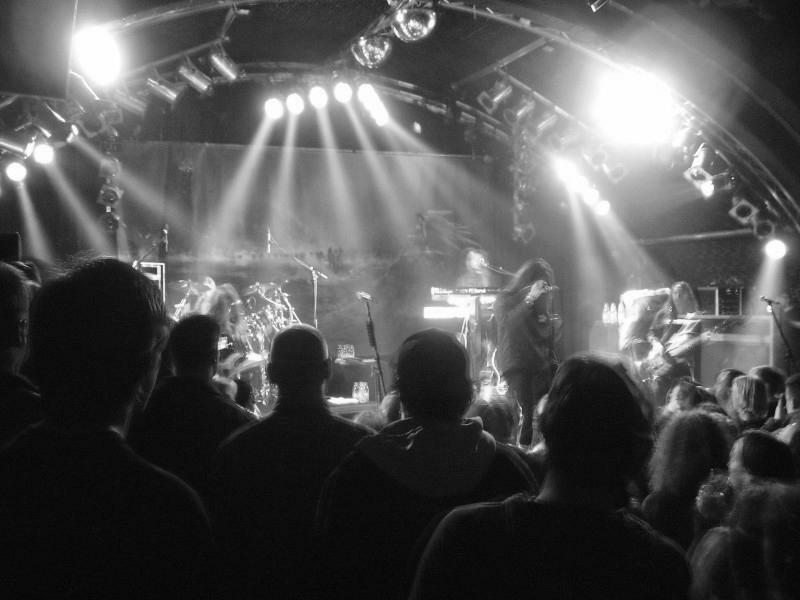 14.12.2007: ensiferum, turisas and insania are playing in the z-7 in pratteln (viking metal).